Poland was the only European country which in recent years has managed to avoid recession produced by the global crisis of 2007-2009, living on the contrary its economic boom thanks to EU funds, too. The fortune of Poland was to join the European Union on the eve of the credit crunch, thus avoiding debt as it happened in other nations. Thanks to expansionary and forward-looking economic policies, the Polish economy has grown by 177 percent from 1989 to 2007, at higher rate than that of all other countries of Central and Eastern Europe. In 2004, when Poland joined the European Union, it was already able to compete with the most advanced economies. 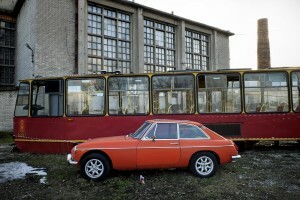 An old bus and a vintage car near the neighborhood “Prague” in Warsaw on February 17, 2014. “Prague”, for some decades working-class neighborhood was abandoned after the Second World War and with the reputation of the danger zone, has now become the heart of the artistic and cultural life of the city. 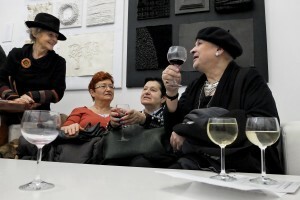 People drinking wine during the opening of an art exhibition at the gallery “Salon Akademii” in Warsaw on February 18, 2014. A portrait of a student of Unversity of Warsaw on February 13, 2014. The University of Warsaw, founded in 1945, is the largest and one of the most prestigious in Poland. 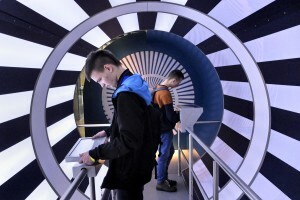 People struggling with interactive experiments at the “Centrum Nauki Kopernik” in Warsaw on February 14, 2014. The building dedicated to Copernicus is located in the center of the capital and features interactive exhibitions, a planetarium and a conference center. 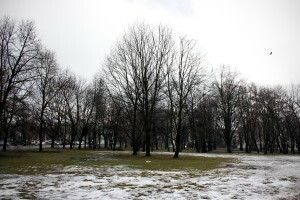 A general view of the “Ogrod Krasinskich” park in Warsaw on February 13, 2014. Two boys play with interactive experiments at the “Centrum Nauki Kopernik” in Warsaw on February 14, 2014. The building dedicated to Copernicus is located in the center of the capital and features interactive exhibitions, a planetarium and a conference center. 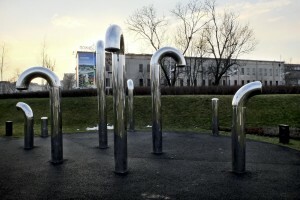 An audio installation of the Polish artist Elzbieta Wierzbicka in the center of Warsaw on February 13, 2014. A tourist guide give explanations to a group of visitors at Plac Zamkowy in the historic center of Warsaw on February 13, 2014. 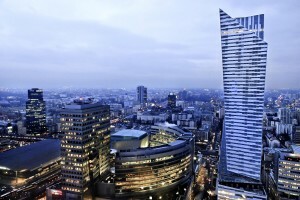 A general view of the economic heart of Warsaw on February 14, 2014. In the downtown area there are many modern skyscrapers that surround the Palace of Culture and Science. 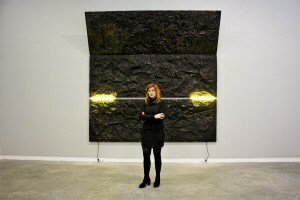 A portrait of Martha Kołakowska, director of the “Galeria Leto” in Warsaw on February 17, 2014. 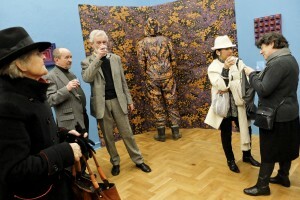 The art gallery is in the neighborhood “Prague”, the creative heart of the Polish capital. 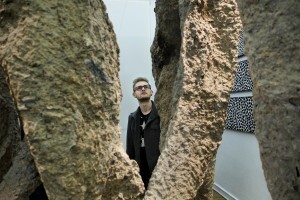 A man admires an installation during the opening of an art exhibition at the gallery “Salon Akademii” in Warsaw on February 18, 2014. People waiting at the bus stop, in the area “Mariensztat” in Warsaw on February 13, 2014. A portrait of an editor of the Polish quarterly journal “Think Tank” in Warsaw on February 17, 2014. The magazine, published since the spring of 2009, deals with fashion, culture, trends and companies and is headquartered in the “Soho Factory” in the neighborhood “Prague”, the creative heart of Warsaw. 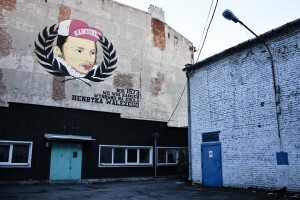 A mural near the neighborhood “Prague” in Warsaw on February 17, 2014. 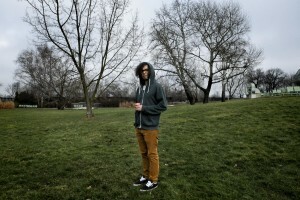 “Prague”, for some decades working-class neighborhood was abandoned after the Second World War and with the reputation of the danger zone, has now become the heart of the artistic and cultural life of the city. 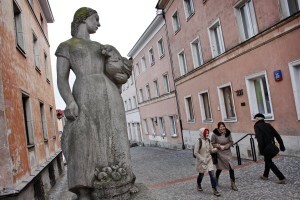 People walking in the streets of the old town in Warsaw on February 13, 2014. 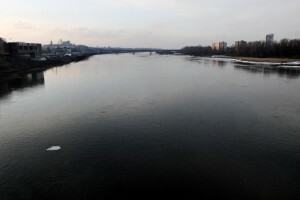 A general view of the Vistula River in Warsaw on February 13, 2014. The Vistula is the longest river in Poland. A woman and a child admire an ‘installation during the opening of an art exhibition at the gallery “Salon Akademii” in warsaw on February 18, 2014. 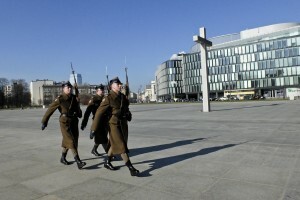 The ceremony of the changing of the guard near the Saxon Garden in Warsaw on February 18, 2014. A man at the computer inside the coffee “Fenomenalna” of of Warsaw University on February 13, 2014. 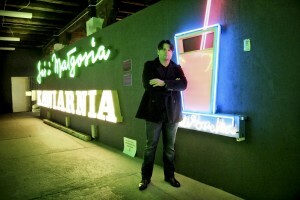 A portrait of David Hill, founder and director of “Neon Muzeum” in Warsaw on February 16, 2014. 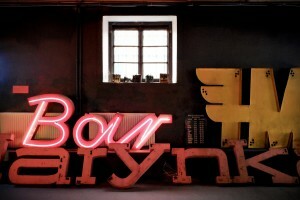 The museum, which was launched in 2005 with the purpose of saving the neon lights and neon signs of the post-war period, is based in the “Soho Factory” in the neighborhood “Prague”, the creative heart of Warsaw. Installations all inside of the “Neon Muzeum” in Warsaw on February 16, 2014. 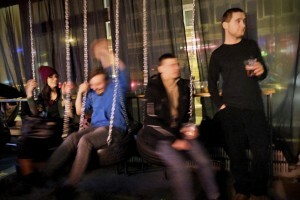 The museum, which was launched in 2005 by Ilona Karwińska (second from left) and David Hill (third from left) with the purpose of saving the neon lights and neon signs of the post-war period, is based in the “Soho Factory” in the neighborhood “Prague” , the creative heart of Warsaw. 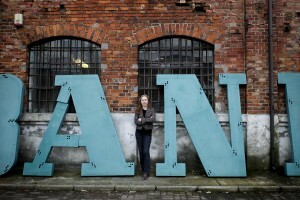 A portrait of Ilona Karwińska, founder and managing director of “Neon Muzeum” in Warsaw on February 16, 2014. The museum, which was launched in 2005 with the purpose of saving the neon lights and neon signs of the post-war period, is based in the “Soho Factory” in the neighborhood “Prague”, the creative heart of Warsaw. An interactive lesson inside “Viamoda industrial”, the university of design, fashion and technology management in Warsaw, on February 17, 2014. 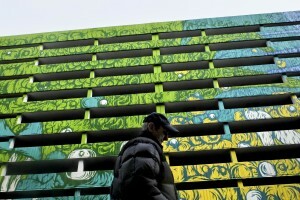 The institute is located in the “Soho Factory” in the neighborhood “Prague”, the creative heart of Warsaw. People walking near Plac Zamkowy in the historic center of Warsaw on February 13, 2014. An actor of “Studio Teatralne Kolo” in Warsaw on February 17, 2014. 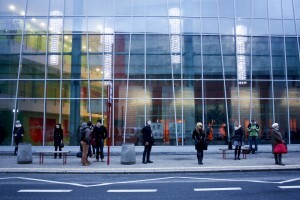 The theater is located in the “Soho Factory” in the neighborhood “Prague”, the creative heart of Warsaw. A man walks the streets of the old town in Warsaw on February 15, 2014. A view of the “Stadion Narodowy” in Warsaw on February 18, 2014. The stadium was built on the occasion of European football in 2012 that were awarded to Poland and Ukraine. Young people drink and have fun all inside of one of the many disco clubs in Warsaw on February 16, 2014. 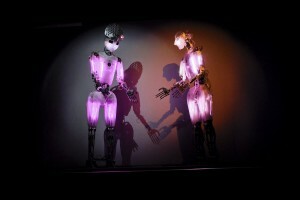 A show of robots all inside of the “Centrum Nauki Kopernik” in Warsaw on February 14, 2014. The building dedicated to Copernicus is located in the center of the capital and features interactive exhibitions, a planetarium and a conference center. A deejay plays music all inside of one of the many disco clubs in Warsaw on February 16, 2014. A night view of Palac Kulturi in Warsaw on February 18, 2014. 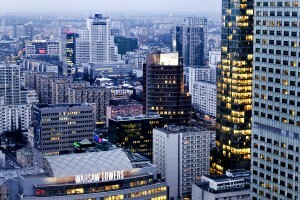 The building built by Stalin is the tallest building in Warsaw (231 mt).